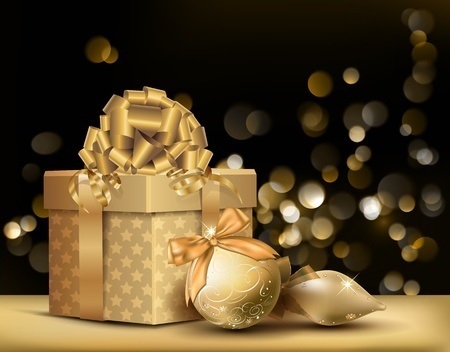 Christmas is only a few weeks away, so if you want to buy a gift that someone really wants this Christmas and put something really worthwhile under the Christmas tree, get your Christmas gift ideas all wrapped up with some gorgeous gift ideas at Jam Hair Salon in Sanderstead. Make a start on your Christmas list now and take a look at our guide to Christmas gifts, and give that someone special a gift they will love! ghd has launched a rose gold range as part of its Christmas gift selection, with all its popular tools presented in a gorgeous glossy Rose Gold box. Treat someone special to Rose Gold ghds with £10.00 off this Christmas at JAM Hair Salon. We have two ghd Rose Gold Gift Sets available at JAM Hair, the Professional Styler Gift Set and the Deluxe Edition Gift Set, gorgeous gifts for Christmas. All I want for Christmas is thicker, fuller and longer hair! Are you tired of waiting for your hair to grow for that Christmas Party? Christmas will soon be upon us, it’s time to make your appointment for thicker, longer locks in time for that special night out. Add some vibrant colour with Balmain Hair Extensions with our hair extension experts at JAM Hair Salon. We have a special offer with our volume hair extensions, get a free extension brush for your stunning new locks! For more information on Balmain Hair Extensions at JAM Hair Salon click here. All I want for Christmas is a brand new hair colour! Spice up your look ready for the work’s Christmas party with a vibrant shade of show stopping red, a dazzling hair colour perfect for the festive season. At JAM Hair Salon we have the perfect colour for you, whether you want to brighten your look with some gorgeous blonde highlights or add a brand new hue with some caramels or chocolate browns, we will ensure you leave our salon feeling gorgeous. Ask your stylist at our Sanderstead Salon for advice on your perfect Christmas colour. For more on hair colour services in Sanderstead, take a look at our hair colour at JAM Hair Salon. All I want for Christmas is gorgeous party hair! It’s party time and you need the perfect hair! Let our expert stylists at JAM Hair Salon transform your look and give you that chick party hairstyle that will put you in the perfect party mood! Christmas party hair appointments book up quickly in December, so make sure you book your appointment with your favourite stylist well in advance of your big night out! All I want for Christmas is Professional Haircare! Treat someone special to a Joico Gift Pack and save 15% off at JAM Hair Salon. We have beautiful Unite Gift Sets available for £39.95, gorgeous haircare products from our Salon in Sanderstead. We have a variety of gifts available to choose from, buy a Wet Brush for only £10.95, a brush to make your hair look great. Change someone’s life this Christmas with Colour Wow root cover up for £28.50. Colour Wow covers up those dreaded roots and regrowth quickly for perfect results in a minute. You can purchase gift vouchers that can be spent at our hairdressing salon in Sanderstead against treats for yourself. Gift vouchers can be used for any of our services at JAM hair Salon including luxury treatments, hair extensions, hair colour or a Brazilian blowdry. Buy a £40 gift voucher and get £10 free, the perfect gift for someone special at Christmas. Treat your loved one or a special friend to gift vouchers this Christmas from our Sanderstead Salon. Give us a call on 020 8916 0773 or 020 3251 1034 or call in you can find us on Limpsfield Road, Croydon. This entry was posted in Hairstyle News, News, Product News on November 28, 2014 by .